IUCN in Jordan and the global power company AES Levant are working together to engage stakeholders in seeking solutions to environmental issues affecting the area to the east of the capital Amman, such as to biodiversity degradation and environmental pollution in an area that are witnessing rapid land use changes towards a more industrialized uses . The project brings together private sector, governmental institutions, environmental experts and local communities in a unique initiative, creating a model that can encourage other private companies to help communities with environmental planning on a local level. IUCN created a platform for the local community to reach out to decision makers and other stakeholders and potential partners in the area with a clear agenda. The preparation of a community environmental action plan has set the area’s environmental, social and environmental priorities for the next 10 years. 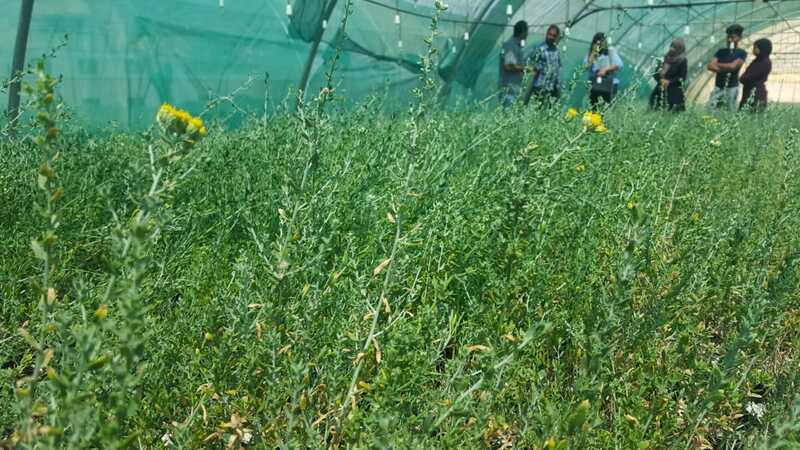 IUCN in collaboration with the Sustainable Environment and Economic Development (SEED) Project established a community nursery to propagate native rangeland species and provide employment opportunities for local communities. The nursery could serve as a main research centre for improving native seedling quality and propagation practices. A pledge was made by Greater Amman Municipality to change its landscaping strategy to use native plants which will reduce water consumption in the governorate as native plants are adapted to drought. Through collaboration between IUCN and the Ministry of Environment, an environmental monitoring programme was established for the area to ensure air and water pollutants are within acceptable limits. In collaboration with the Ministry of Agriculture, a veterinary clinic and agricultural extension centre was created to support around 550 livestock owners and 350 farmers, including women working in agricultural processing.